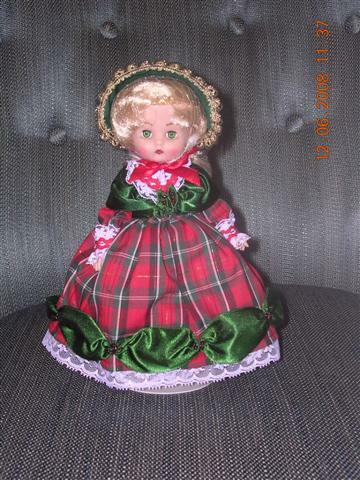 9" Effanbee annual Christmas doll, V 608. Blond in plaid dress. 1997. 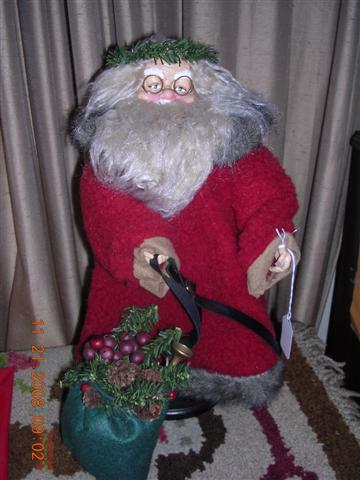 15" Evergreen Wreath Santa. Hard plastic face and hands, cloth body. Holds bag of greens, berries and toy trumpet. On wooden base. 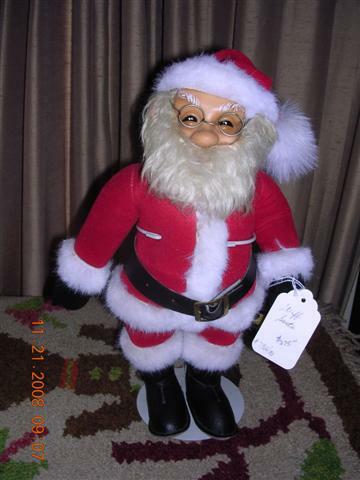 16" Faith Wick Santa. Vinyl head, hands and cloth body. Holds bag of toys. 9" Effanbee vinyl. V601. 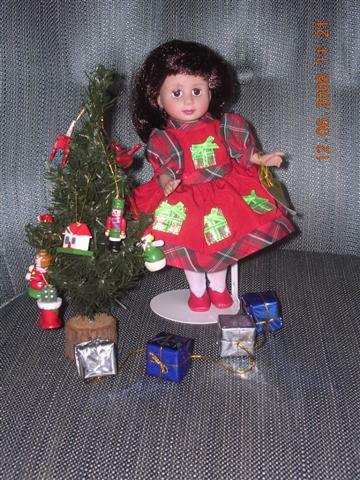 Brunette in Christmas outfit with Christmas tree with ornaments and wrapped gifts. 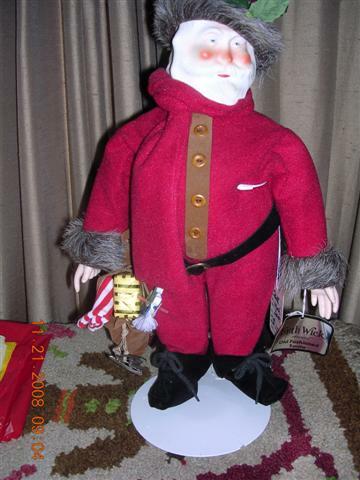 14" Steiff Santa #7966/38. Rubber face, soft body, hands and feet. 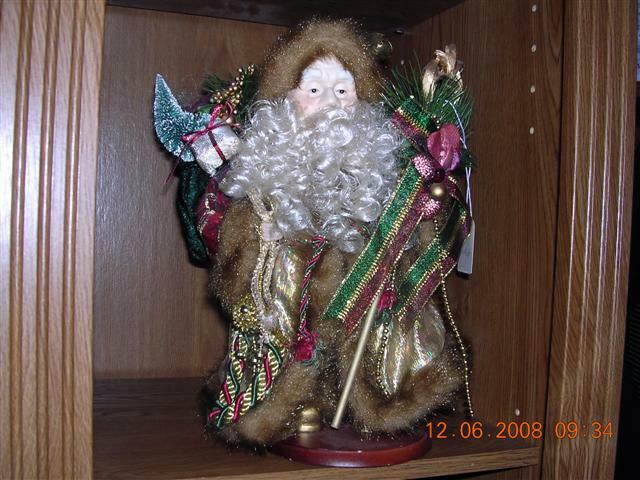 11" Wonderful Santa. Porcelain face and hands. Soft body. Holds three packs of gifts. Gold, fur trimmed coat and hat on wood base.